We offer top-tier detailing services at very competitive pricing. NEW – Now you can design your own detailing package using our package builder! Our seasonal specials are the perfect way to keep your vehicle looking its best. Keep checking back for limited-time discounts on our most popular services. Our services extend well beyond just cars and trucks! 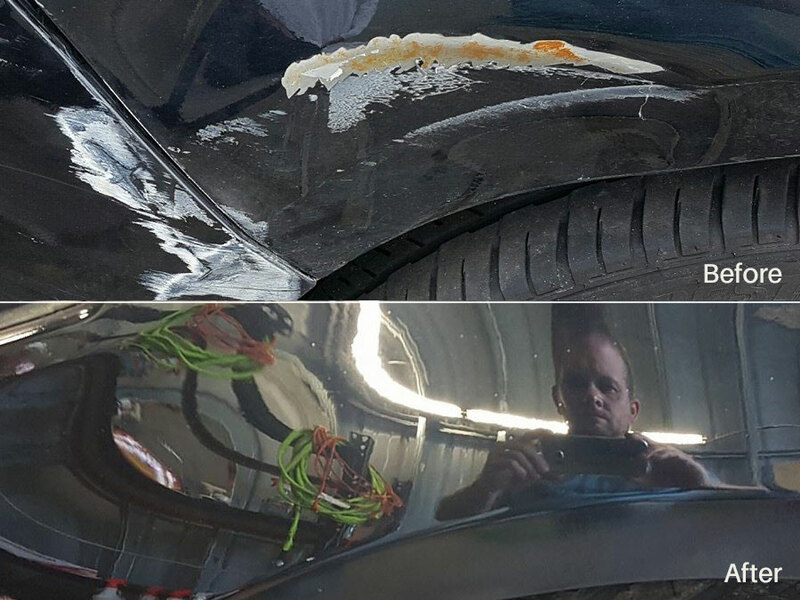 We detail recreational vehicles, campers, boats, motorcycles, and more. Contact us to learn more about what we can do for you. This Toyota came in with substantial fender damage. We worked our magic and restored it back to its original glory. 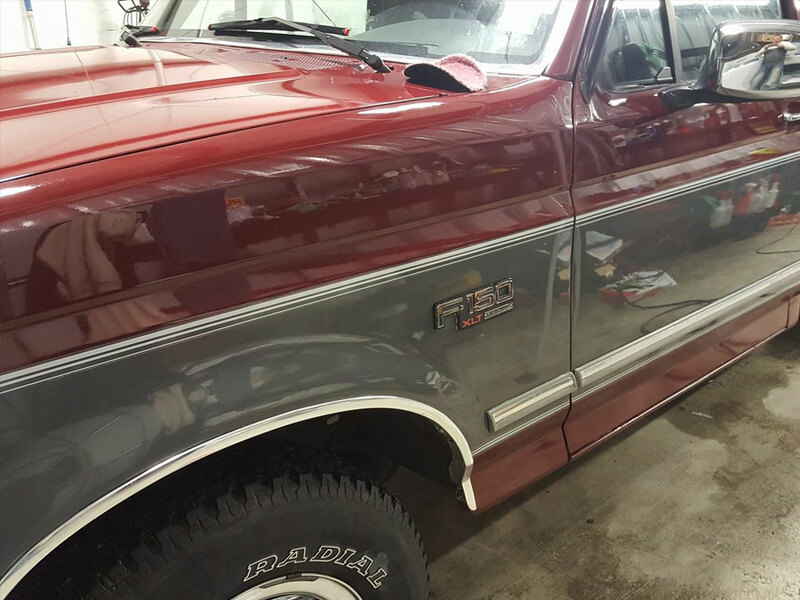 This 1992 F150 came in showing its age. We restored the paint back to showroom condition. Look at that reflection! Latex paint and cloth seats are not a good mix. 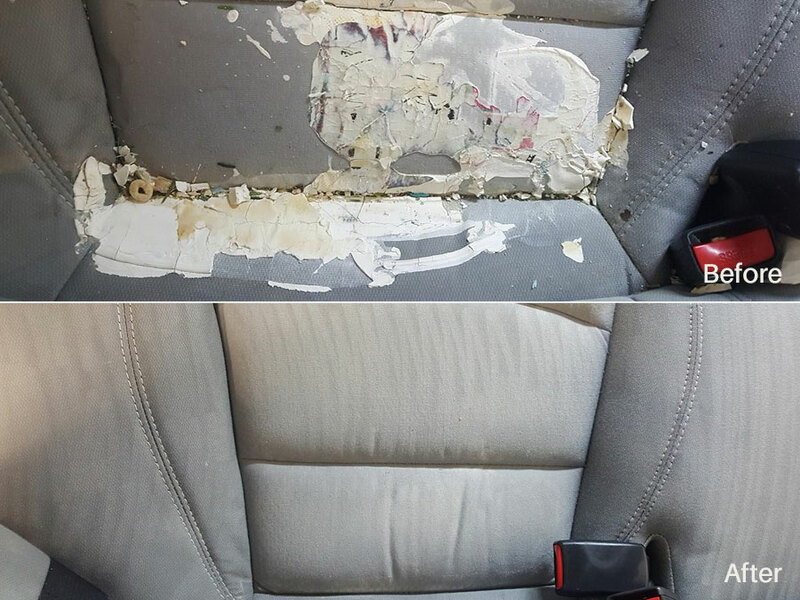 The owner thought this seat was ruined. We perform miracles on a daily basis! Copyright © 2017 - Jonny's Detailing. All rights reserved.